Connecting mothers; empowering women around the globe. When I began CleanBirth.org in 2012, it was very important to me that the organization succeed. I wanted so much to help other mothers give birth safely. I also craved a project of my own that was unrelated to being a mother or wife. I can remember worrying in the first year that the Clean Birth Kits wouldn’t be well received or that my partner organization in Laos, ACD-Laos, wouldn’t do their part to ensure success. In the first 2 years, I worked endlessly with ACD-Laos and traveled to Laos twice per year. Back at home, I went to conferences, Tweeted and posted on Facebook non-stop, and sought connections and fundraising opportunities everywhere. There was so much of me in the organization in that early period. I needed the moms in Laos to give me a purpose, as much as they needed me. Yet, the more I traveled to Laos, the more I understood that the only agents for real change in birth practices are local nurses. With common language and traditions, these nurses are uniquely effective at conveying knowledge about safe birth. With the goal of empowering local nurses, my partners at ACD-Laos and I spent time in 2014 establishing mutually-agreed up Monitoring and Evaluation procedures. With these clear objectives and methods of tracking funds, the way was cleared for my partners at ACD-Laos to take ownership of day-to-day activities. In 2016, when they began conducting training without me and then requested to expand to more clinics and a hospital, it was clear that ACD-Laos and the nurses were invested and in charge.It was also clear that my role had changed. Just as the organization had evolved, so had I. With an international move and growing kids, I no longer needed CleanBirth.org to be my purpose. While the need is gone, my commitment is stronger than ever. I am so proud to be part of the team we’ve created: the nurses, ACD-Laos, CleanBirth.org and our supporters. Year after year we make birth safe for an increasingly large number of women in Laos. 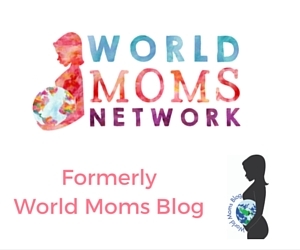 World Moms Network has supported CleanBirth.org since the beginning. We need your help in the next 2 weeks,as we raise our largest amount ever $20,000. If you're new here, you may want to subscribe to the World Moms Blog RSS feed. Thanks for traveling with us around the globe! Kristyn brings her years of experience as an entrepreneur and serial volunteer to CleanBirth.org. 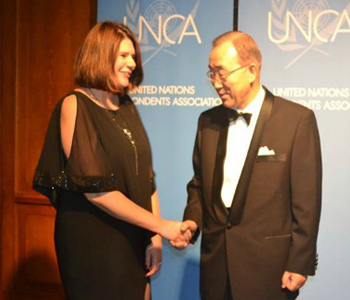 She holds a MA, has run small businesses in Russia and the US, and has volunteered in Nicaragua, Costa Rica, Thailand, Cambodia, Laos and Uganda on projects related to women’s empowerment. After having children, Kristyn became an advocate for mothers in the US, as a doula and Lamaze educator, and abroad, as the Founder of CleanBirth.org. She is honored to provide nurses in Laos with the supplies, funding and training they need to lower maternal and infant mortality rates in their villages. Keep up to date with the #WorldMoms...sign up for weekly updates in your inbox! Click a Date to Catch Up on Posts! We envision a world of peace and equality, born through our common ground of motherhood.